While traditional kitchen cabinets tend to be made of one type of wood throughout, modern kitchen cabinets can combine materials like wood, laminates, glass and metal to achieve a more unique feel. Color is another unique feature in modern kitchen cabinets. While the natural colors of wood veneer are popular in this design aesthetic, so are bold, less traditional colors. Deep reds and blues and fluorescent yellows, oranges and greens can be been seen in more daring modern kitchen designs. The simplicity of a modern kitchen design allows for a more spacious and airy feel in your kitchen. Therefore this design style is favored among those with lots of windows in their kitchen as well as those with few. Homeowners who are working with small angular spaces may favor the look and function of modern kitchen cabinets as they favor function over ornamentation. At Biaggi Cucina, we are confident that we can design, manufacture and install the Modern Kitchen of your desire. 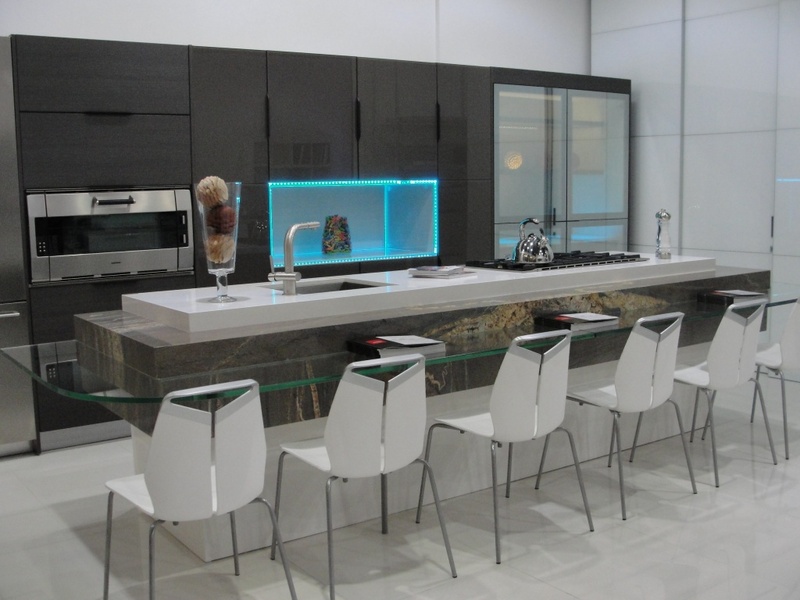 We are known in Miami as the Miami Kitchen Cabinet Manufacturer of Choice.